If you’re looking for a suit that can keep up with your busy lifestyle, this is it. 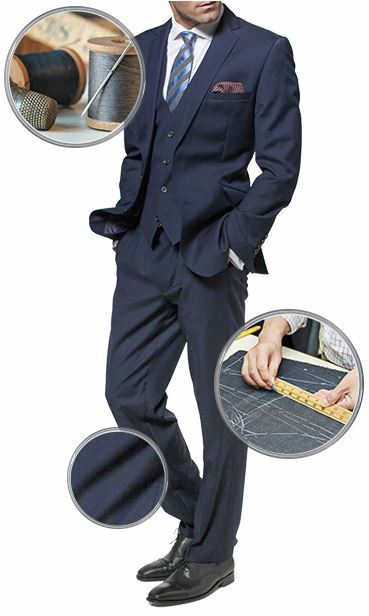 This tailored fit suit is made from a blend of wool and Lycra to create the ultimate in comfort and style. It’s water repellent, stain resistant, and has a breathable lining to minimise sweat no matter how active you get. And with high crease recovery, you’ll always look effortlessly refined in this single-breasted number. found this firm brilliant to deal with. will definately shop from them again. Excellent service, prompt deliveries and very nice quality clothes for men with accurate sizing. Excellent service . Prompt delivery and easy to exchange if you mistake your size . Very good service and excellent product. However all too often clothes are advertised but in the main they are sold out before they appear in the advert. Purchase arrived promptly and in good packaging. The suit I bought was just as described and fits well. I would have no hesitation recommending them. My blue suit is just perfect! The fit, quality and appearance leave nothing to be desired. The website is very good and easily manageable and customer service excellent. 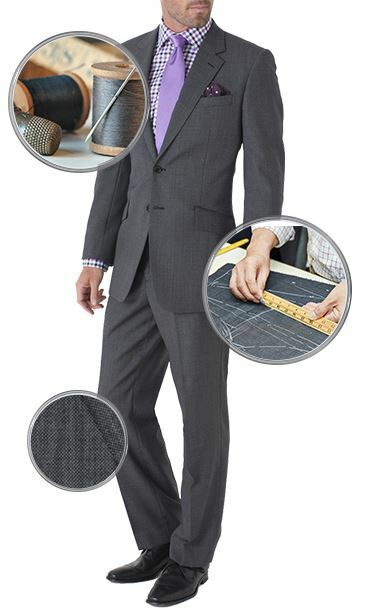 Tailored fit suits are complementary to all body types. The lower button stance and trimmer cut along the chest creates long lines, essentially making any physique look taller and slimmer. 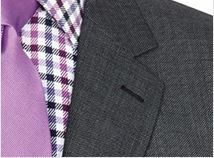 For those transitioning from a larger, more roomy cut into the more stylish, tailored fit suits, give it a little time. At first your suit may feel snug, but just keep looking in the mirror. You look incredible. 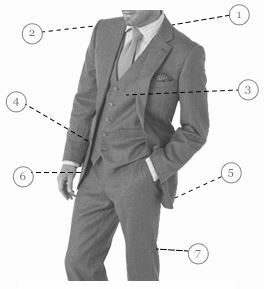 You may have noticed that tailored fit suit jackets are slightly shorter than classic fit. This smart look is perfect with the slimmer suit style. It gives you an overall clean, contemporary, and streamlined look. Tailored suit trousers sit higher up on the shoe, due to a slimmer hem opening. This results in a trouser break at a much shorter length. 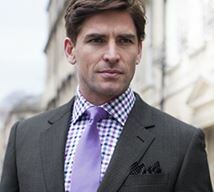 Opt for a smaller half break or no break at all to bring your suits up to date.